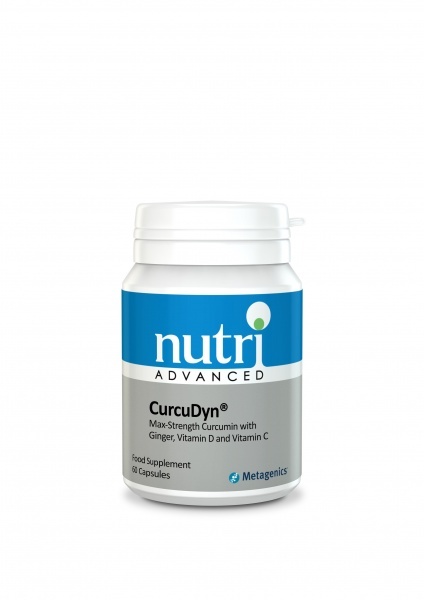 Nutri Advanced Ltd have been providing effective herbal, natural and vitamin supplements teamed with outstanding customer service to healthcare professionals and their patients for over 30 years. Best know for their Eskimo Omega products. Read more about Nutri Advanced. Nutri Adrenal provides a high potency adrenal glandular supplement to help support adrenal function. To support an overactive immune system & a healthy inflammatory response & allergic response. Quercetin, vitamin C & bioflavonoids with pure uncut bromelain. Nutri Advanced BCAA Enhanced is a branched-chain amino acid health supplement (BCAA) formula, with improved absorption and utilisation of BCAAs. This is a potent herbal formula which has been specially designed to support a healthy intestinal environment. This health supplement is ideal nutritional support for those wishing to add a high quality protein to their diet to support optimal health and well-being. Blackcurrant seed oil, is a rich source of gamma linolenic acid (GLA). Essential for healthy skin, cardiovascular health, mental health, hormone balance and joint mobility. 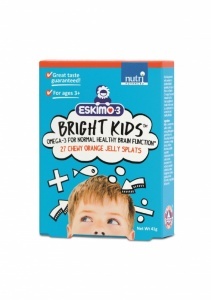 Eskimo Bright Kids Jelly Splats is Nutri's exciting new omega-3 fish oil designed specifically for kids. Each jelly tab, or ‘splat’ tastes great, is easy to take and provides 250mg of DHA which supports healthy brain function. Nutri B Complex - Hypo Allergenic is a nutritional supplement for people who are exposed to stressful situations, or who have a poor dietary intake. Nutri Advanced Cal Apatite with Magnesium - calcium and phosphorous from bovine source, plus magnesium. Cal-Mag-Citrate may help to support bone health. Calcium and magnesium both play a role in muscle and nerve function. A high strength enzyme health supplement formula designed to support a healthy microbial balance in the gut and support a healthy balance of flora in the gut. Cardi-E is an advanced antioxidant to protect cells from free radical damage and help prevent ageing. An entirely natural organic product made from the pulp of tree-ripened papaya, to support a healthy digestion. Nutri Advanced Cell Protect health supplement - Green Tea Extract, Lycopene and Turmeric to Support Healthy Ageing. Metagenics ChondroCare™ - Glucosamine & Chondroitin with Minerals and MSM for joint health. Collagenics™ is a comprehensive blend of vitamins, patented mineral chelates, free form amino acids & other important nutrients to support connective tissue health. Compose LT is designed to support the body�s normal response to stress. Compose LT may support balance and harmony in individuals who find it difficult to wind down and relax. High Potency Coenzyme Q10 with Natural Vitamin E to support energy production and act as an antioxidant. Coenzyme Q10 to support energy production and act as an antioxidant. Also contains Vitamin E.
Combination of herbal extracts and nutrients offers targeted support for joints, inflammation and the immune system too. Nutri Advanced Ltd have been providing effective herbal, natural and vitamin supplements teamed with outstanding customer service to healthcare professionals and their patients for over 30 years. Nutri Ltd started life from a double garage in Gatley, a suburb of South Manchester. The father and son team, Norman and Ken Eddie, sourced premium quality products from America that had been specifically formulated to support the osteopathic and naturopathic disciplines. The father of the team, Norman, had already useds upplements for many years in his own highly successful osteopathic practice, also based in Gatley. At the time Norman’s groundbreaking results were highly publicised in various national media publications and this in turn sparked a huge amount of interest from other practitioners wishing to experience similar results with their patients.Son Ken took to the road literally pioneering the use of supplements by practitioners nationwide. Managing Director Ken said: "Back in 1981 it wasn’t so much a case of just having better products than your competitors, because there were no competitors. Nutri believes it is vitally important to make a contribution to the industry as well as to make a living. Ken explained: "For the first three years I drove over 60,000 miles a year and covered the length and breadth of the United Kingdom, knocking on doors and making new friends out of strangers. These were exciting times. "My father and I never looked upon it as selling. What I discovered when I went out there to find a market was a group of people with very similar values to our own and with whom we discovered we had massive rapport. "Even today I see that the best practitioners are not driven mainly by a quest for material gain. Generally they are people to whom it is vitally important that their way of making a living is also making a contribution at the same time. And in this way we remain identical and 25 years on I see that what makes our company so successful is this near perfect alignment with our customer’s values.